Montana was named the treasure state because of the massive silver and gold rush in the mid-1800’s. However, the real bounty is some of the best backcountry skiing in the country. Jeff Schmerker’s Western Montana Backcountry Ski Guide is simple, clean cut, and points you in the right direction. With just enough local’s knowledge to get you into the Big Sky Country, this guide is perfect for backcountry skiers looking to embark on an unguided trip into some wild country. 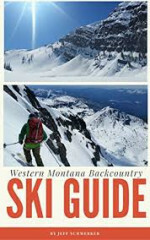 I purchased this guidebook to help with planning for a spring trip to western MT. While the author definitely has a fun style and a wealth of experience, I would not call this a "guide" in the traditional sense. It's more of a general primer to the zones, which is great for a certain kind of skier and less helpful for others. If you're used to guidebooks to places like the Tetons, the 14ers, the Wasatch and other more "civilized" ranges, you'll be a little out of luck with the barebones style. Among other things, the book has very few beta/route photos, no topos or schematics, no grades, no appendices, and time estimates are given for ascent only. In fairness, the book does cover an area larger than most European countries that includes many wilderness areas and a lot of undeveloped skiing. 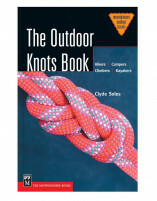 And in the age of social media, you can use this guidebook in conjunction with online beta to plan some great adventures.